And this surprises no one. 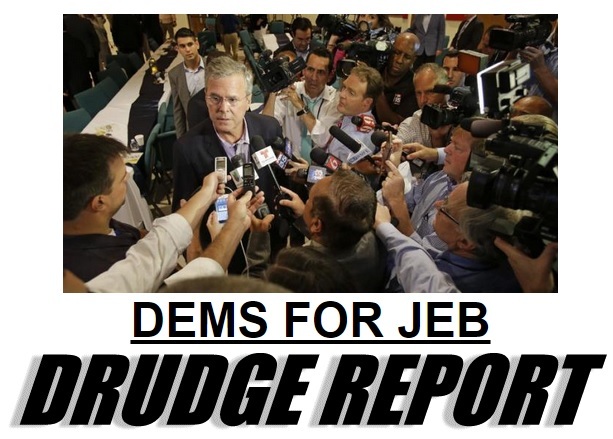 Democratic donors are lining up to toss money at the Jeb Bush Campaign. Behind a garden modeled on Monet’s, Jeb Bush addressed a lawn-full of chief executives and hedge-fund managers at an East Hampton, New York, estate Saturday morning. While the candidate is no stranger to courting wealthy donors, this time was different: about half the attendees were Democrats. The wealthiest donors are playing an unprecedented role in the early stages of the 2016 race. For the first time ever, most candidates are raising more money through super-PACs, which can accept donations of up to $1 million or more, than through the traditional campaign accounts that are capped at $2,700 per donor.